Grimsby Town Sports and Education Trust Futsal are delighted to offer some exciting opportunities for junior Futsal players in the local area. 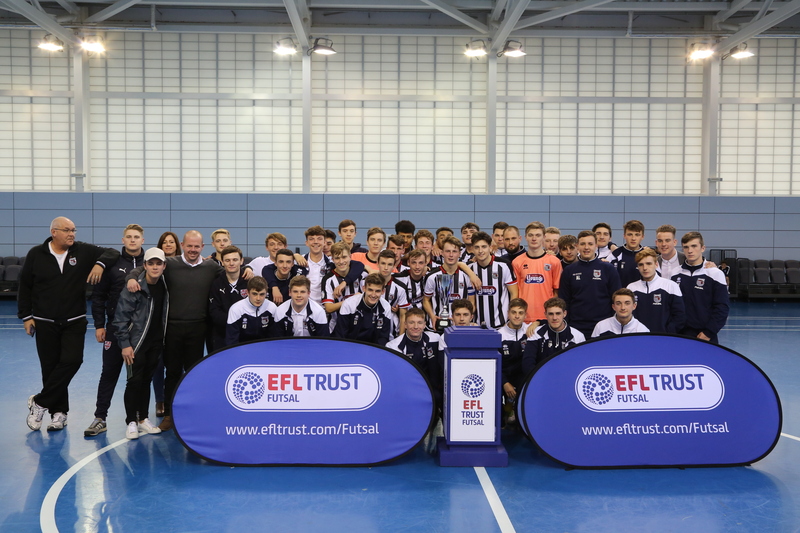 Grimsby Town Sports and Education Trust has teamed up with Franklin College to provide a unique and exciting opportunity for 16-19 year old boys with talent in futsal/football and an ambition for a career in sport. Grimsby Town Sports and Education Trust offers young 16-19 year old sports people the chance to develop in a professional sports program whilst studying their Level 3 BTEC Extended Diploma in Sport (worth up to 3 A-Levels). All studying takes place at Blundell Park- home of GTFC. Click here for information on the futsal scholarship or to apply. Grimsby Town Sports and Education Trust now offer grass roots the chance to play in a competitive futsal league on a weekly basis throughout the winter months. Our U15/16 second season is currently on-going on a Tuesday evening from 6.00pm until 9.00pm and runs until the end of the April. They take place at Franklin College Sports Hall. We are currently planning the 2019/20 season and are looking to expand the league to under 13/14s teams as well as continuing the U15/16 competition.